We usually share something fun in our podcasts – including contests, challenges and giveaways. You’ll want to know right away when our next podcast drops so you can get in on all the action! We promise – it’ll be a good time. Ep.11: Who Are Your People? Let’s talk about who your people are…you know, the ones who really matter in your life. Are they the RIGHT people when it comes to how they make you feel about yourself? Who you surround yourself with can have a direct impact on your sense of self-worth, so in this episode we share HOW to tell if your relationships are positive or negative ones, and WHAT to do once you figure that out. This is the final installment of our 3 PART series focusing on the topic of SELF-WORTH. Ep.10: Multi-tasking – Is It Even Possible? Let’s talk about the pressure to be multi-tasking super producers. Every day, we are asked to wear so many hats and accomplish so many things; when is it too much? We’re going to dive into how this struggle can affect our overall confidence. We’ll also share how emulating one popular kitchen appliance can help us become more effective multi-taskers. This is PART 2 of our 3 PART series focusing on the very important topic of SELF-WORTH. Listen in and share YOUR multi-tasking fails & successes with us! Let’s talk about that “crazy” Nike ad and how we, as women, are often portrayed as nuts for wanting to be MORE than we are (often) told we can be. We’re about to celebrate International Women’s Day, so join us as we chat about some of the different ways women continue the fight to break through glass ceilings in every arena. In this episode, we share our thoughts on gender equality in sports (is it really possible? ), why Girl Scouts should be just as valued as Boy Scouts, women in the workforce, and more! Listen in and sound off in the comments with YOUR thoughts! Let’s talk about the titles we wear! What title(s) do you proudly claim? We get personal in this episode, sharing our journeys with you as we discuss how we’ve grown over the years to embrace our own various titles. This is PART 1 of a 3 PART series where we’re going to focus on the important topic of SELF-WORTH. Let’s talk about The Morph Project! 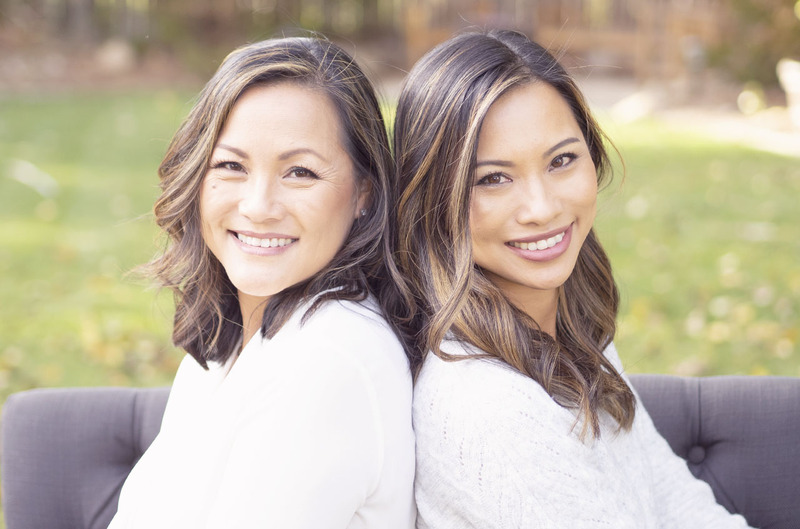 We’re chatting with Hilary Motley and Hillary Tish: co-founders of a non-profit committed to helping women in crisis. Using their own experiences of trauma & recovery, they’ve built a program that has now helped hundreds of other women. We delve into the story of The Morph Project’s humble start, rapid growth, and bright future. Ep.6: Is it EVEN a choice? Let’s talk about the choices we make & why we make them. We share how our recent choices led to podcasting on painkillers & Lan getting a new title. Plus, we cover how ONE simple change in mindset can help you tackle tough choices of your own! Ep.5: GOOAALLS! Bring it on, 2019! Let’s talk about this season of giving and we’ll share with you fun gift ideas from our BWS Holiday Gift Guide as well as what this season means to us. Does the season mean more than the wrapped gifts under the tree? Can gifts be dual purpose and what are others giving in an effort to give back? And, how do we share all of this with our kids? Ep.3: WHAT’S THE ONE THING? Let’s talk about the one thing we all deal with when making those New Year’s Resolutions, why a house divided isn’t the end of the world, and buckle up for the 1st Sister Challenge For A Cause! Let’s talk about that Christmas roast, the stress of the holidays and how WE can help you get through it all without losing your mind. PLUS, our first ever BWS giveaway! Ep.1: Let’s talk about the age gap, that time Cathy couldn’t reach the clutch, and why a podcast had to happen.